I’m happy to announce that Digital Photography Basics is now available. And it’s just 10 bucks! This is a great workshop that’s perfect for those who are just getting started. 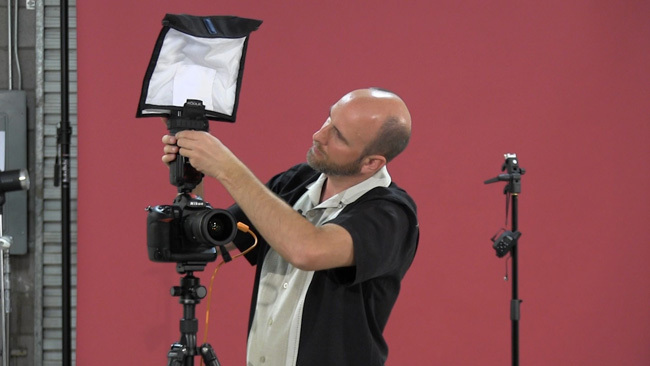 Learn about camera modes, the exposure triangle, metering, white balance, and more! 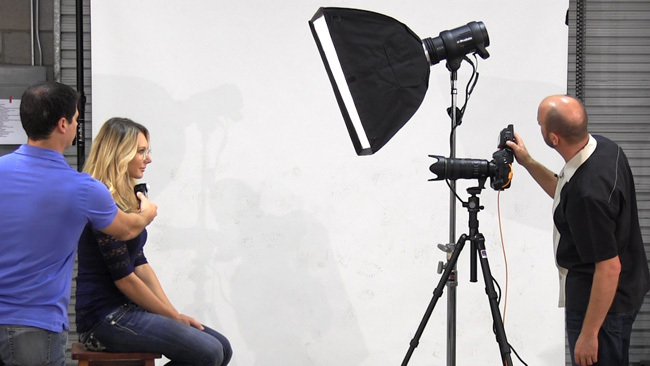 Whether it’s with a softbox, umbrella, grid or just bare flashes, Mark will teach you how to get great studio portraits using only these small, powerful lights. He’ll cover remote triggering, metering and more. Mark will walk through speedlight basics so you have a complete understanding of the possibilities, and limitations, of these remarkable lights. The Shot is now available as Video On Demand and digital download. 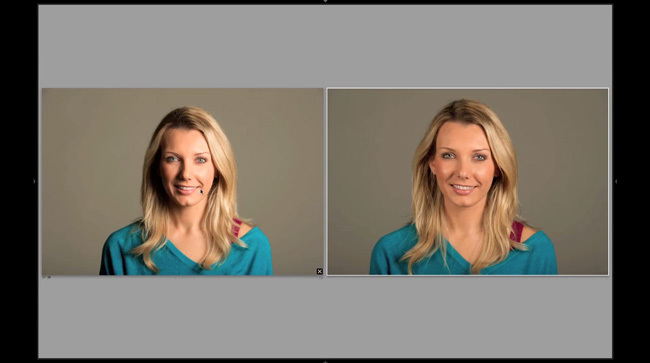 Join Mark Wallace as he takes you through the step by step process of creating beautiful portraits. Each episode in this series demonstrates the pre-production, setup, shooting, and post production of a single image. Explore the process of creating images as Mark Wallace shows you each step of the process. This workshop is a step-by-step walkthrough of Lightroom 4, perfect for the beginner as well as those who have worked with Lightroom previously. This workshop is everything you ever wanted to know about Lightroom but were afraid to ask. This workshop contains more than 7 hours of content! This workshop is available for download now! Product is a digital download. You will not receive a hard copy. This workshop will give you an overview of Lightroom 4 and show you how to maximize it’s potential by creating a workflow for importing, keywording, adjusting and exporting your images. This is an information packed workshop. Don’t miss out! Here are a few screenshots from the video. Mark explains the foundation of Lightroom 4. A step-by-step explaination of the preferences panel. Mark dives into the importing process. Lightroom allows you to embed copyright data upon importing. The importing screen has many options to streamline your workflow. Mark demonstrates many ways to assign keywords to your photos for quick sorting. 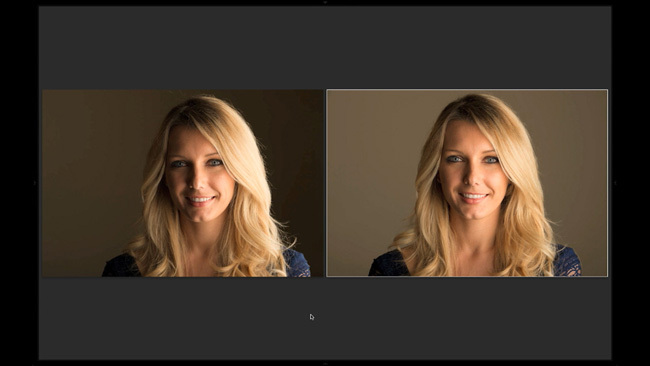 This is one of the views in Lightroom to help compare multiple selected photos. Collections are used to prep selected photos for output to books, the web, etc. Smart collections automatically gather photos with certain keywords, ratings or metadata that you choose. Mark demonstrates how to sort photos in the Library module using different filters. 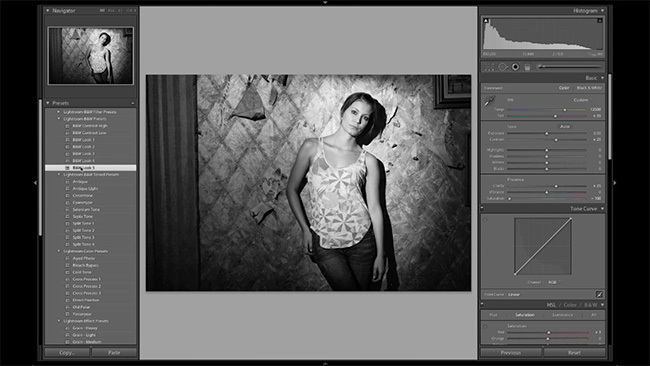 The next big part of Lightroom is the Develop module, and Mark explains how to adjust photos. Using the Develop module, Mark saturates the colors and crops this image. 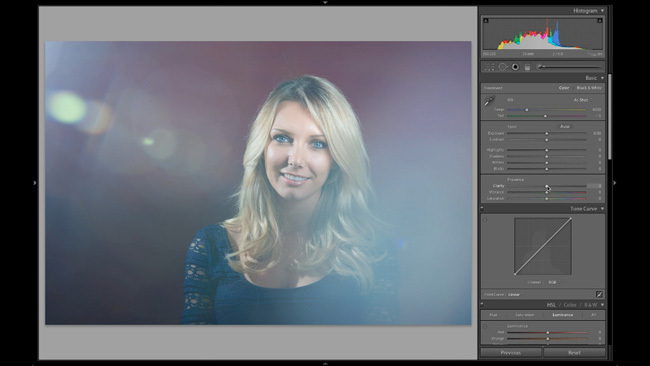 Presets allow you to quickly batch edit photos, and Mark shows you how to create your own. Mark walks through using some of the local adjustments that are similar to those in Photoshop. 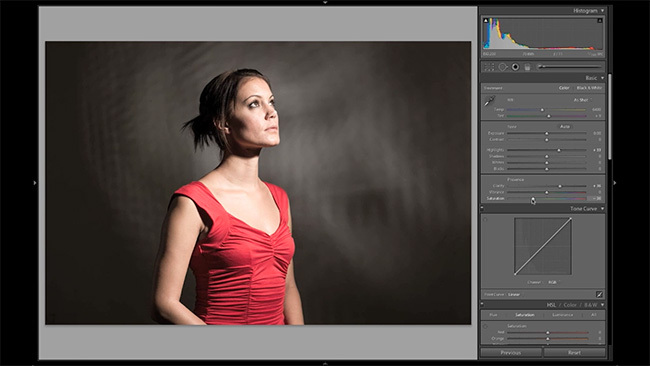 Lightroom creates masks to allow for local adjustments to exposure, contrast, color, and more. 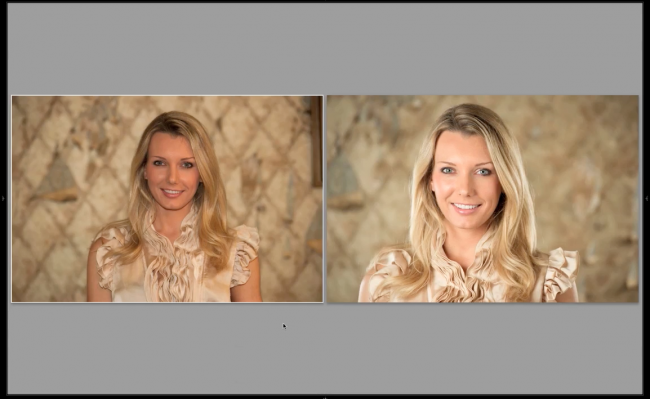 Mark demonstrates how to take a photo from Lightroom and edit it in Photoshop without losing the original. Create your own watermark to use on your images. 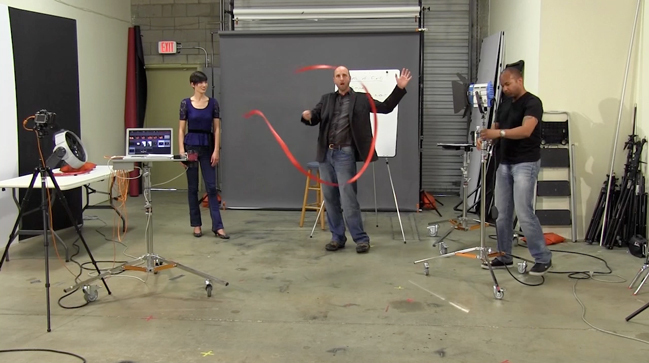 Mark shows how to shoot tethered directly into Lightroom. Mark explains the export features. Lightroom’s Publish Services are powerful tools for exporting photos and keeping them updated with the most recent edit. Mark shows how to use the Map module. A quick demonstration of using the Book module. Mark creates this slideshow from scratch and shows how you can use this to sell more photos. The print module allows you to print individual images, or complete custom packages. Finally, Mark makes an entire gallery webpage with just a few clicks in Lightroom. Master outdoor location lighting! In this workshop Mark shows you how to use reflectors, speedlights and studio strobes in an outdoor location setting. 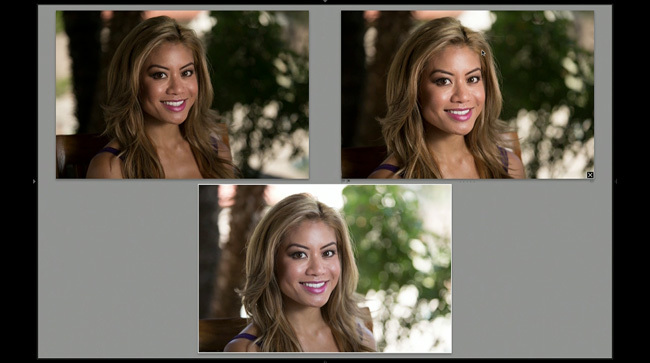 Learn how to light for portrait photography outside and in open shade. Mark demonstrates his lighting techniques by shooting several scenarios including a poolside bikini shoot. Scroll down for all the workshop details. The beautiful location for the workshop. Mark starts by demonstrating how to control the ambient light and flash separately. An example of Mark underexposing the background before setting the flash on our model, Jayd. A portrait setup with a speedlight in a softbox, with a reflector. Mark compares photos where the background exposure changes, but Jayd stays relatively the same. Heading out into the bright sunlight, Mark demonstrates using shade for better portraits. A comparison before and after the shade was added over Jayd. A demonstration about how a long lens can get better full-body portraits, even in a small space. 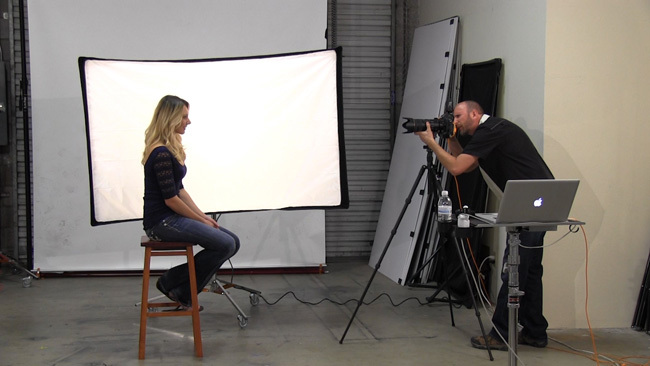 Mark’s next setup will use shade with a studio strobe for balanced outdoor portraits. The left photo is just the ambient light. The photo on the right is with a strobe added. 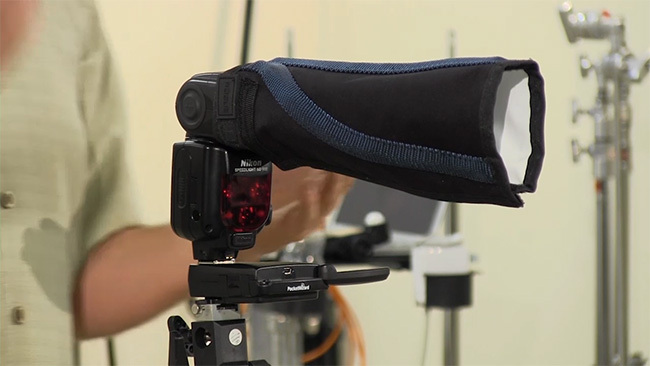 Mark adds a softbox on the strobe to soften the light. 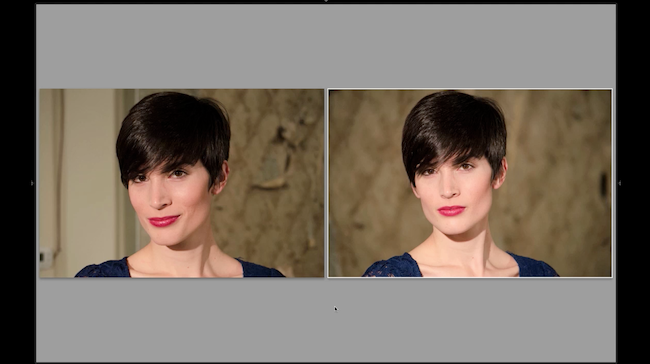 Adding a reflector made a huge difference in the left side of the photo. Notice how Jayd’s hair and shoulder now have separation from the background. Mark’s final setup is a bikini shoot by the pool using a ringflash. First Mark shoots with no flash to demonstrate how changing your angle can make a much better photo. A comparison of the photos taken straight on versus the one taken on a step ladder. Mark’s assistant gives him shade behind-the-scenes. Here Mark has attached the ringflash to his camera and added the white umbrella for shade. A comparison of the photos using the ringflash, but the left photo has no shade and the right one does. A comparison of where Mark started (straight angle, harsh light) and the final image that he got (no harsh shadows, better angle). To wrap things up, Mark shoots without any flash for shallow depth of field. 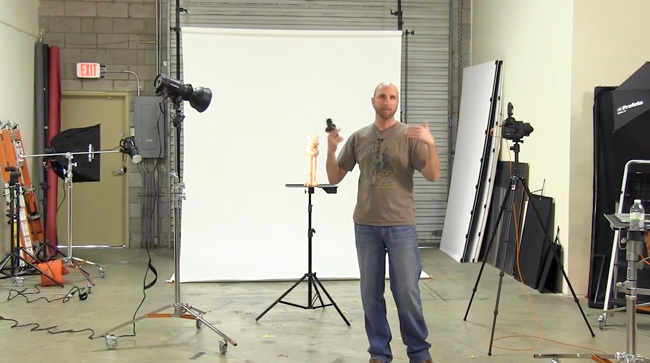 Get ready to master the 3-light setup with Mark Wallace! 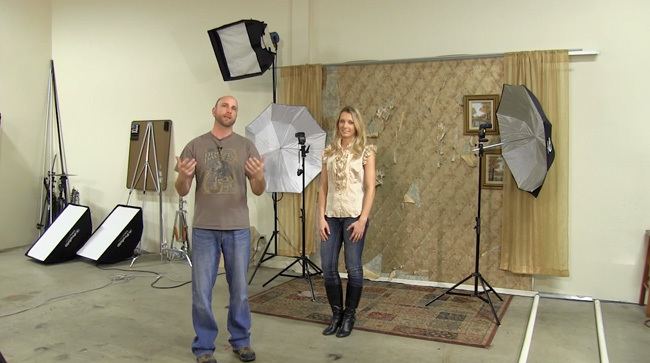 In this episode of Mark Wallace: LIVE, Mark teaches the basics of a 3-light setup that includes the key light, fill light, and kicker light. 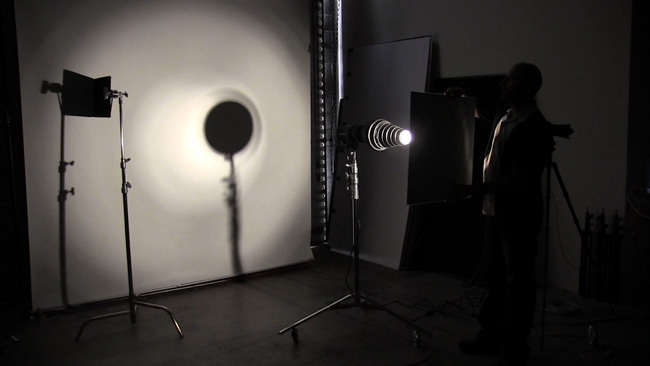 He builds the setup one light at a time so you can see how each one impacts the photograph. Then, Mark shows you different ways to modify the setup with reflectors, grids and additional lights, and even shows the 3-light setup using speedlights. 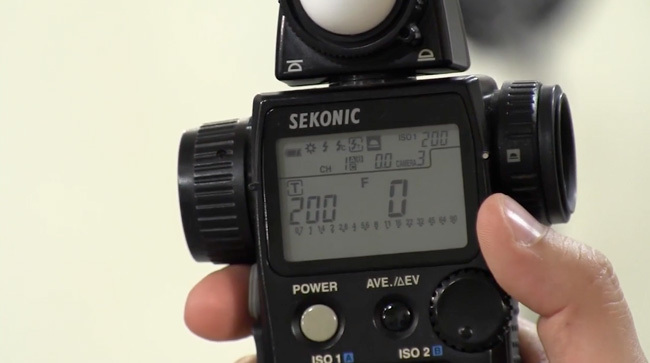 During the entire workshop, Mark teaches you how to meter for proper exposure and ratios with his Sekonic lightmeter. This workshop is more than 3 hours of information that is great for beginners and pros alike, as it teaches great techniques for lighting portraits. 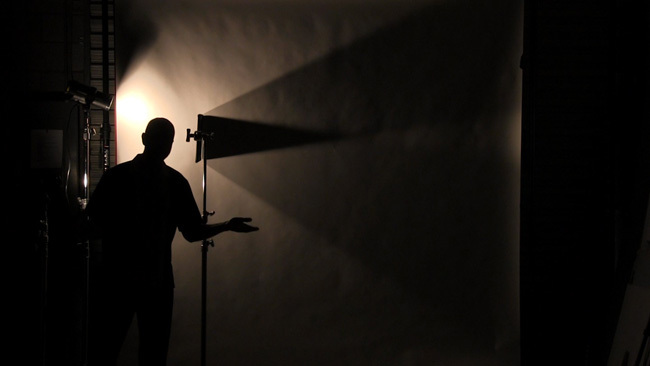 By looking at shadows, you’ll learn to position your lights. Mark shows different metering techniques throughout the workshop. Our model – Sam Kozuch! 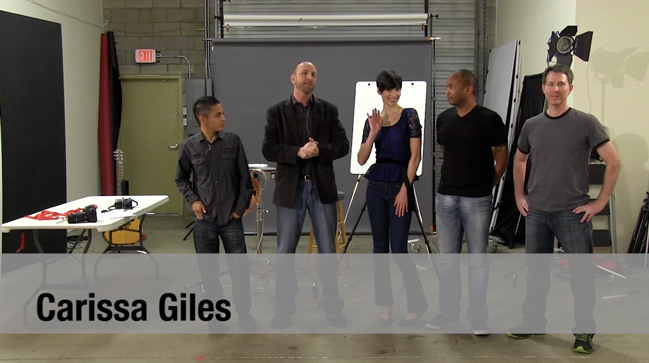 You’ll learn different ways of triggering your strobes and speedlights. Mark uses an umbrella to soften the light. 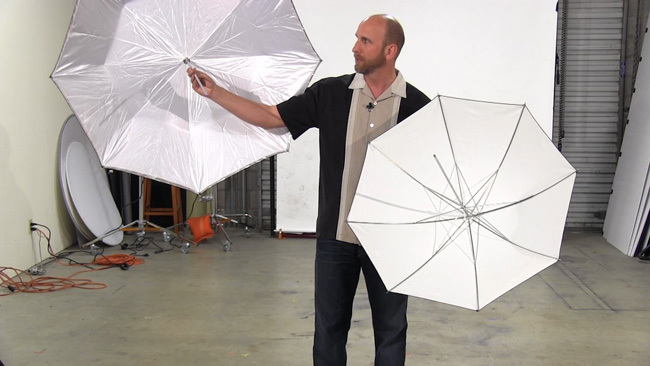 You’ll see Mark’s live results, like this comparison of the light without and with the umbrella. The third light is added to the setup. Mark talks about placement of light and how to avoid lens flare. An example of adjusting the kicker light so it’s not too bright. 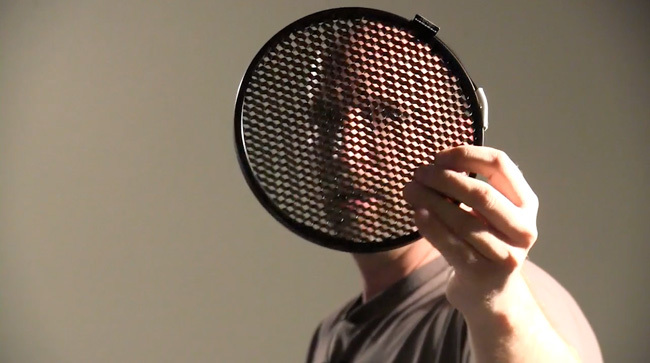 Mark demonstrates other light modifiers, like this snoot. In this workshop, Mark uses grids to restrict the light. 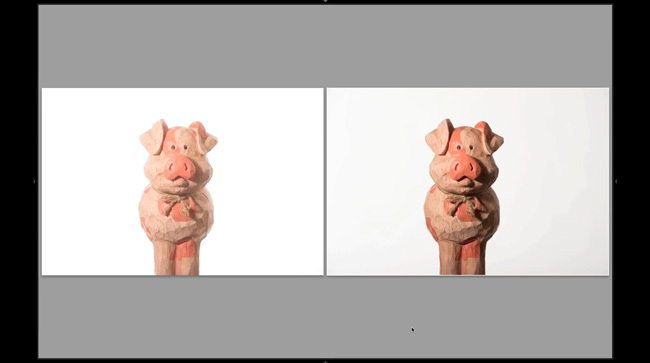 Stunt pig drops in for a demo on how to get a solid white background in your photos. An example of a white background while still having detail in your subject. 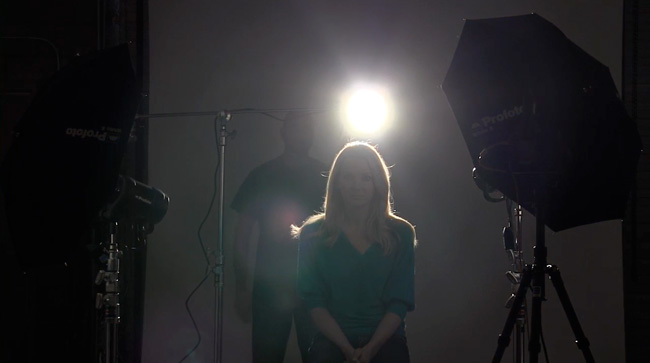 We switch to speedlights to show a different type of 3-light setup. 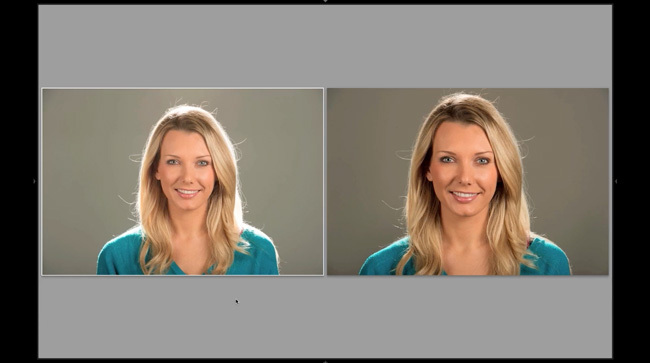 Left photo is speedlight on camera, right photo is a 3-light setup. Mark builds a “superhero” look with two lights as kickers. Mark meters the light hitting the back of Sam’s head. In this episode of Mark Wallace: LIVE, we discuss everything you need to know about photography basics. Understanding exposure, controlling motion and getting everything in focus are the pillars of this workshop. 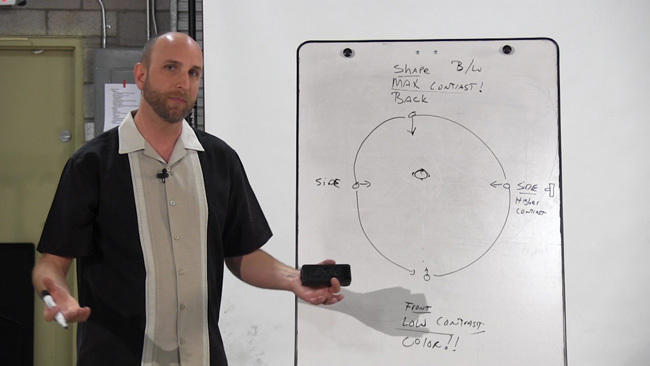 Mark explains aperture, ISO, shutter speed, camera modes, focus points, depth of field and more. He also touches on some more advanced topics like white balance, exposure lock and lens distortion. This workshop is more than 3 hours of information that is a perfect workshop for beginner photographers, or anyone wanting to brush up on the cornerstones of digital photography. Mark introduces the model, Carissa, and the volunteers. 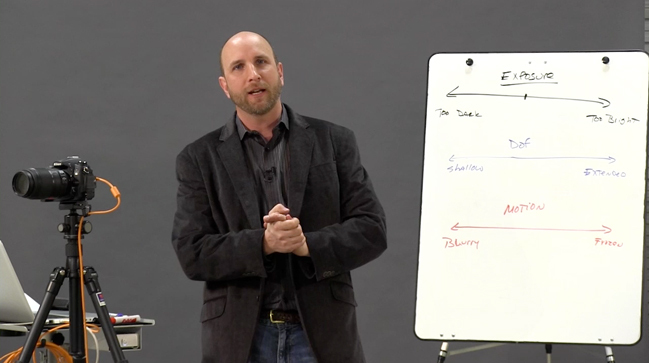 Mark discusses three different pillars of a photo: exposure, depth of field and motion. Matt the camera man gets a cameo! 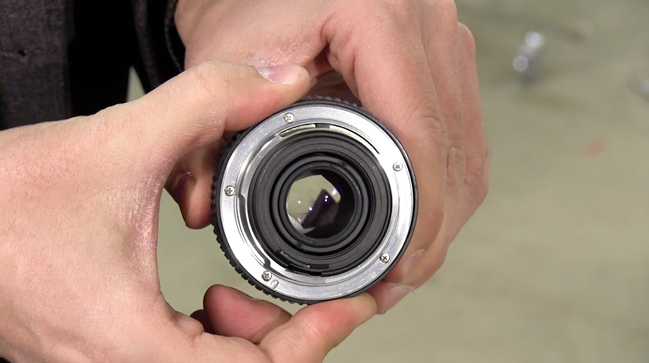 Using an older lens, Mark demonstrates the aperture. 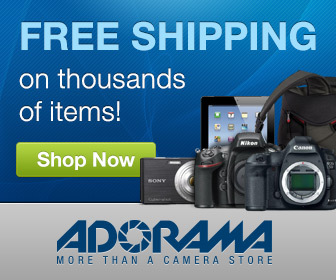 Learn about the different modes on your camera. Showing examples of depth of field with our model Carissa. Mark uses Lightroom during the workshop to show the differences in aperture values, shutter speeds, white balance and more. Learn about what an f-stop is and how it impacts your photos. Using white and black panels, Mark explains how your camera’s meter can sometimes get the exposure wrong. Mark shoots photos of his guitar to demonstrate shallow depth of field. Mark is famous for his goofy demos! In this example he and Charles create the camera frame around Carissa, and Josh plays the role of the sun. 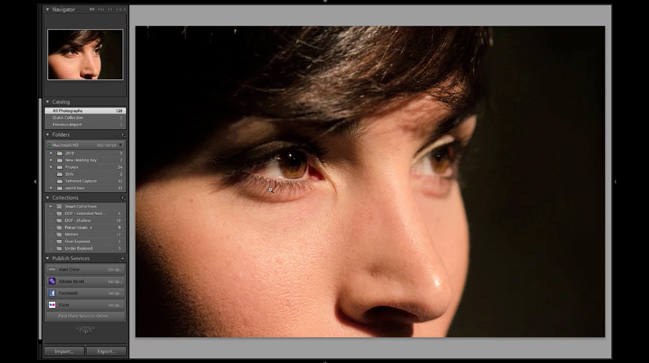 Learn how to get shallow depth of field, like the photo on the right. 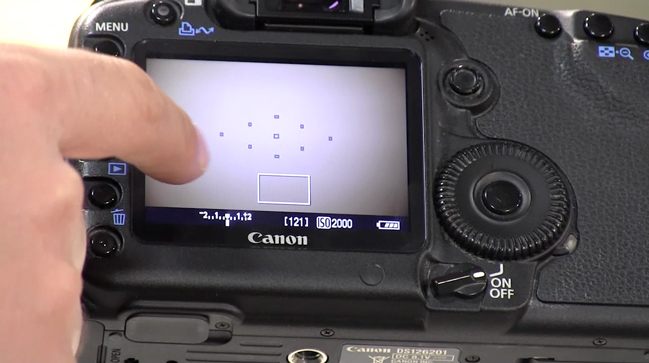 These squares are called focus points and are used to determine what spot in your frame is supposed to be in focus. 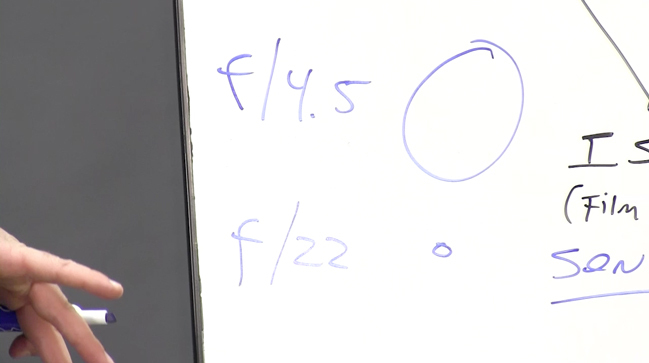 Mark tackles a viewer question about extremely shallow depth of field. 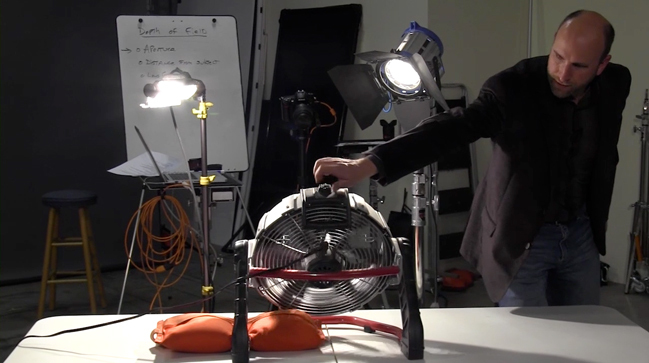 Mark uses this fan to demonstrate shutter speed. 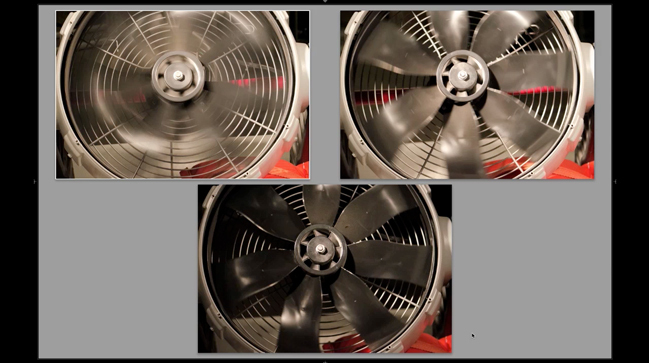 Examples of slow shutter speeds (blurry fan blades) vs. fast shutter speeds (frozen fan blades). Mark demonstrates his ribbon dancing skills! 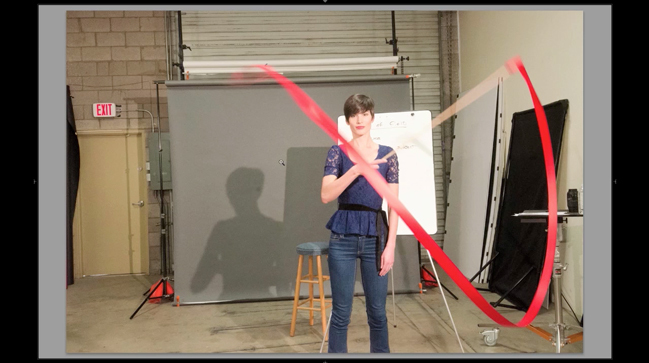 The ribbon is an example of shooting moving objects like children, pets or sports. 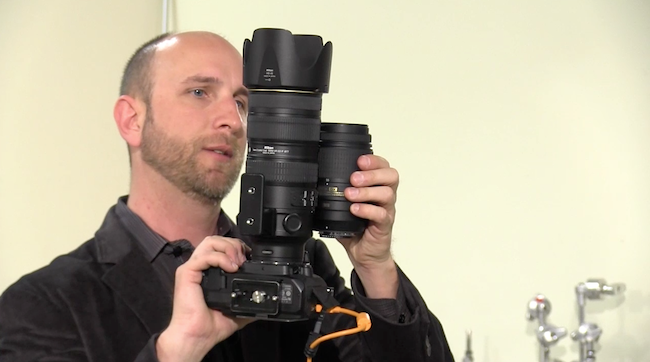 Mark explains that while one lens looks longer, the amount it can zoom is less than the short lens. 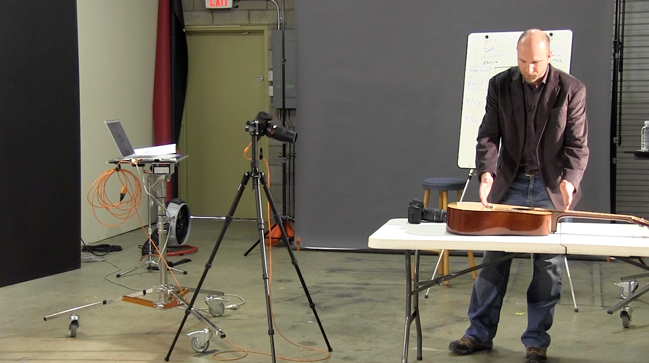 In the second episode of Mark Wallace: LIVE, Mark takes an in-depth look at light. He explains shadows, effective size, direction of light and more while explaining how they impact your photography. 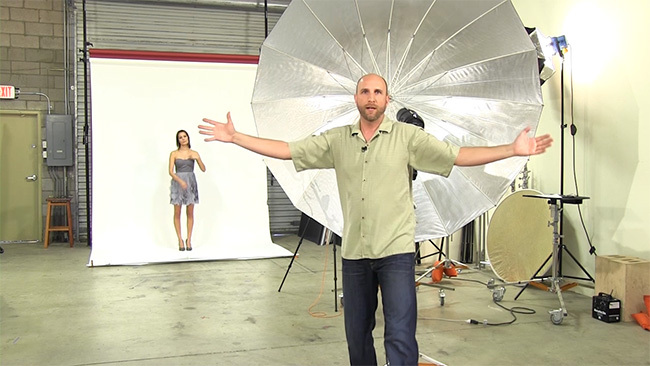 Using both speedlights and studio strobes, Mark demonstrates how to get various looks with lights and light modifiers of all shapes and sizes. This workshop is over 3 hours of information that is great for beginners and intermediate shooters. Mark starts the show by describing light and how it creates shadows. Our model catches on fire during a dramatization of the effective size of the sun. An explanation of specular highlights – the reflection of the light source that you can see in things like eyes, glass, etc. 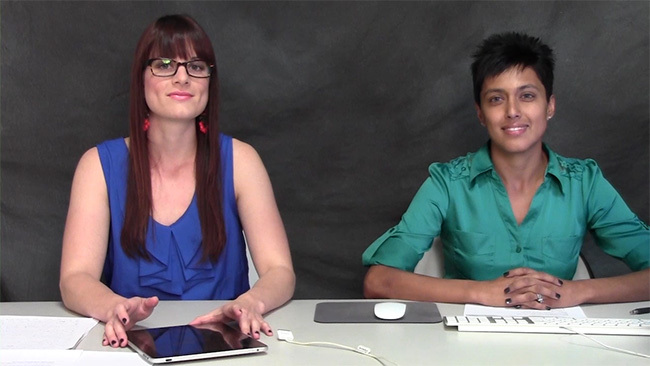 Shannon and Marissa join us again to take questions from the live viewers. 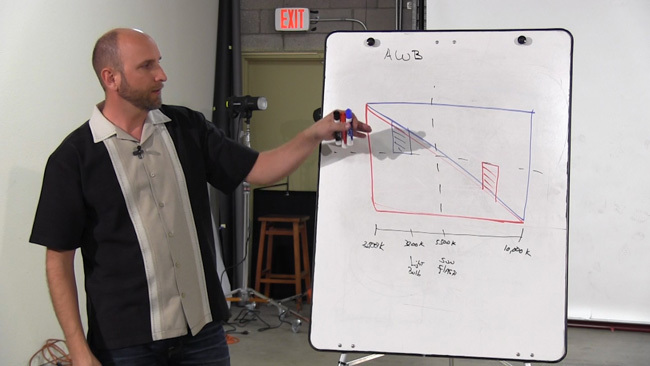 Mark gives a visual explanation of the Inverse Square Law and how it applies to working with lights. 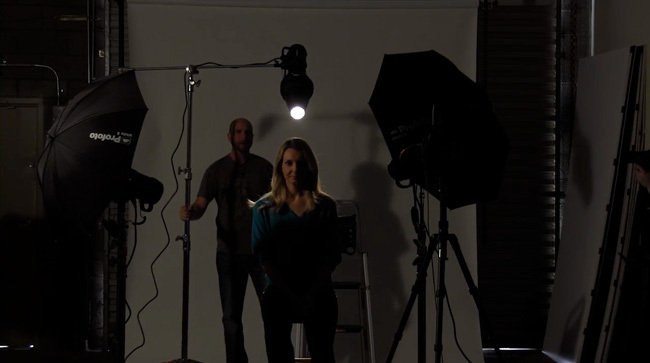 This demo teaches you where to position your light in relation to your camera and subject. You’ll learn the trick to getting rid of reflections in eyeglasses while shooting portraits. The workshop moves right along into a thorough description of color temperature and getting the right white balance in your photos. In response to a viewer question, Mark shows the easiest way to take a group picture on a solid white background. Mark starts to describe different modifiers, including umbrellas. 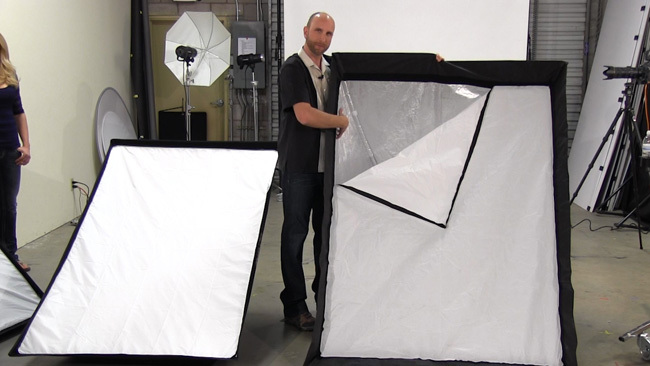 Mark demonstrates the construction of a softbox. 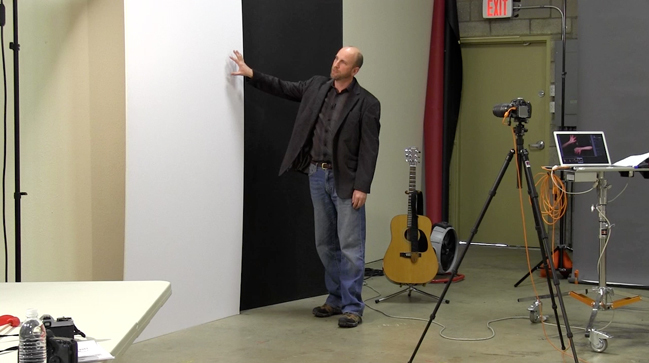 Using the 4×6′ softbox, Mark demonstrates how the position of the light impacts your photo. You’ll see Mark’s results right from his computer! Using some supplies from an art store, Mark shows you how to build a bookend (also known as a V-flat). Mark switches to speedlights to answer a view question about lens flare. After shooting with the speedlights, Mark does some quick post-production in Lightroom. The Rogue FlashBender is a great way to soften the light from a speedlight. 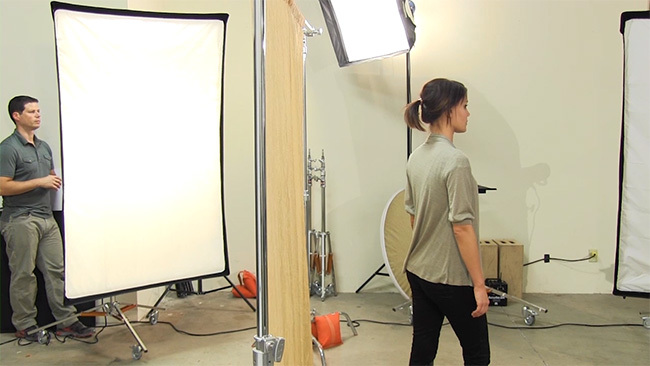 Mark shows off his favorite lighting tool – the grid. In the first episode of Mark Wallace: LIVE, Mark walks through nine of his favorite lighting setups. 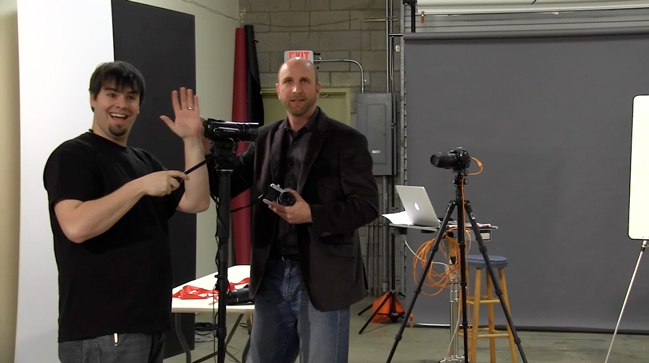 Mark walks through the gear used, options for the setups and even shows the results of the shoot live during the workshop. This workshop is 3 hours of information that’s perfect for the beginner or intermediate photographer. 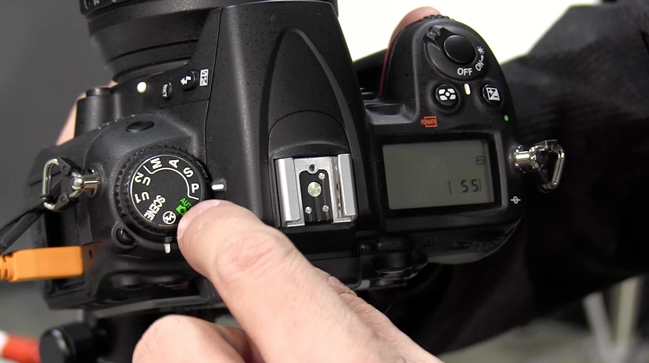 Everything that Mark shoots is shown during the workshop – even the mistakes! The workshop moves right along. There are 9 different lighting setups, about one every 20 minutes. Mark first demonstrates the lighting setup then shows the real-time results. Mark quickly walks through post production options in Lightroom. 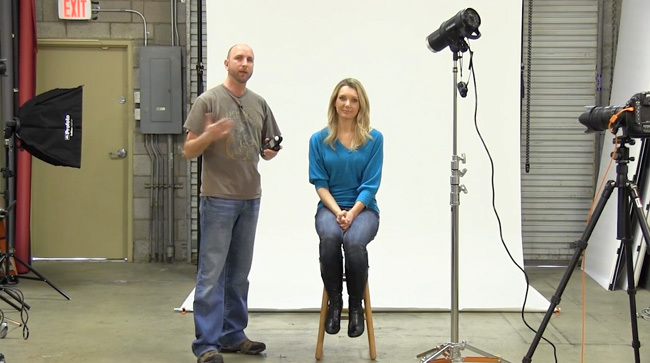 Mark walks through a basic 3-light setup with speedlights. Chat helpers Shannon and Marissa take questions from viewers so Mark can answer them during the workshop. 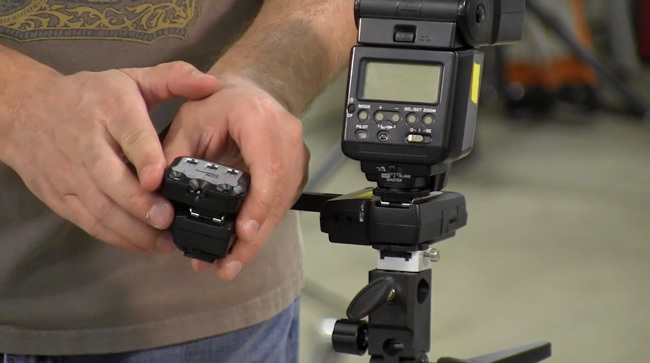 The workshop includes tips for using specific light modifiers like the Flashbender by Rogue. The lighting gear in use. 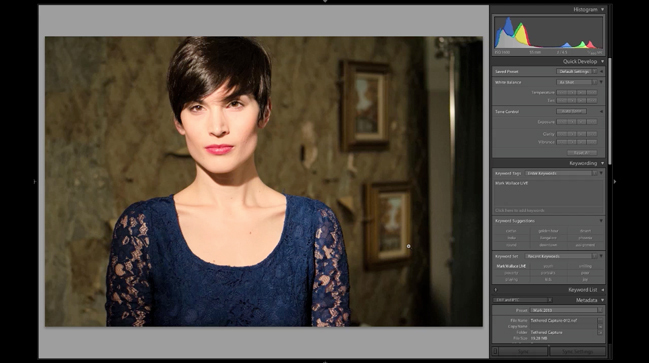 Mark shows the actual images in Lightroom and give you tips for post production. Mark demonstrates the “vertical clamshell” setup. 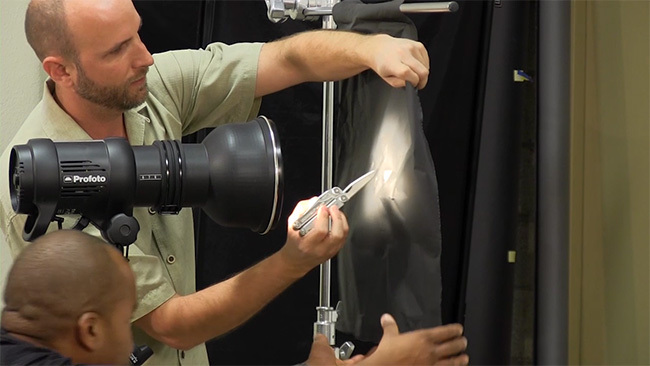 Mark demonstrates one of his favorite tricks; creating a gobo from black foil. 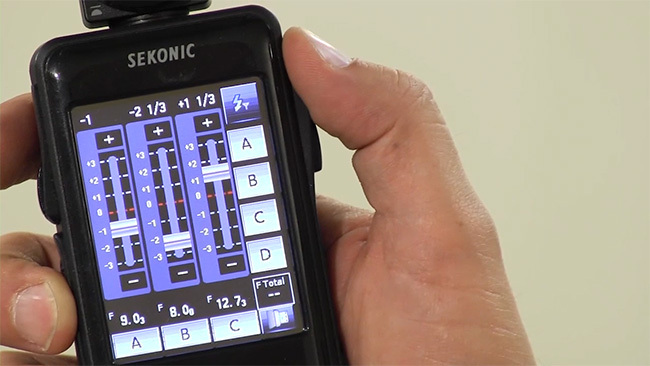 Mark gives a brief demonstration of the new Sekonic L478DR and shows how to control speedlights remotely. Learn how to create soft light for glamorous boudoir shots.